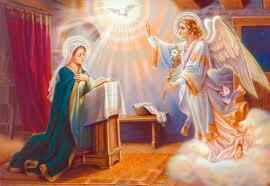 Today we celebrate the Feast of the Annunciation. We thought we would pause for a day and share this short prayer that we hope will be of meaningful value for all readers today. and was born of the Virgin Mary. Because the situation in Japan at the Fukushima Daiichi nuclear plant is worsening, please also keep that in your prayers.